Gold has never gone out of fashion even with the rise in popularity of the much cheaper silver jewelry. Gold is not as expensive as other gems like diamonds, so it’s a compromise between the two. 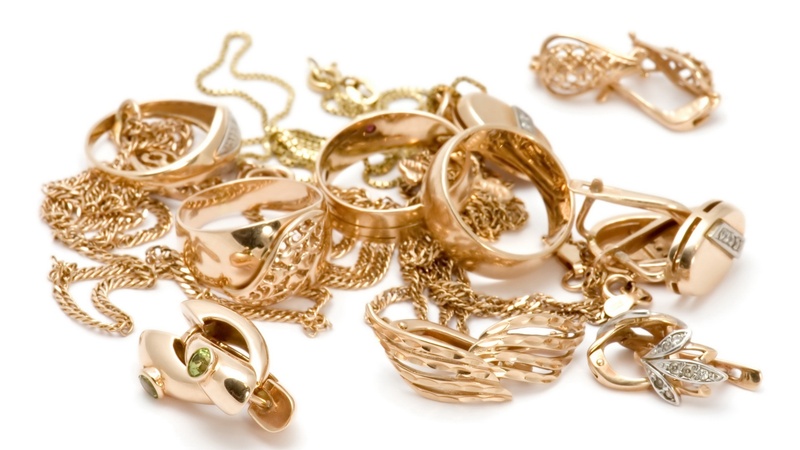 So how do you know you’re buying quality gold jewelry? Any piece of gold jewelry is measured in carats or karats. The highest quality gold is pure gold at 24 carats. It’s not used in jewelry because it’s not tough or hard. 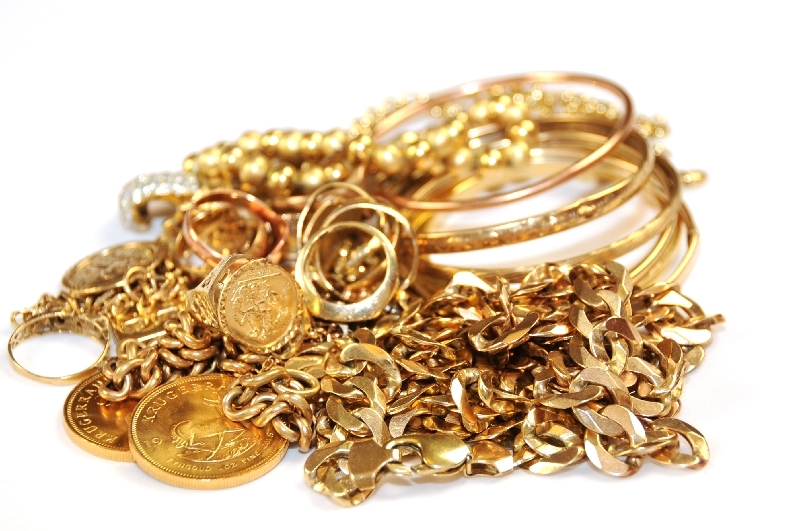 Most of the gold used in the earrings, rings, bracelets and necklaces are gold alloys. The most commonly used metals used to make gold harder are zinc, silver, and nickel. Sometimes you will also find numbers on the gold jewelry. These are also percentages indicating the how much gold was used to create the piece. You might find a 9-carat or 375 gold in the market. This has a gold content of 37.5% and 62.5% of other metals. Some countries, however, don’t consider this a gold jewelry. Besides the markings mentioned above, an authentic piece must have an image of the maker’s trademark. It could be the place of origin or the name or logo of the company. Some countries require jewelers to hallmark their pieces so you should be aware of where the piece was made before buying. Some older pieces, however, like vintage jewelry don’t have markings. You will need to have the gold piece examined to make sure you’re buying authentic jewelry. Some jewelers will tell you that gold jewelry is an investment because their value increases over time. This is only true, however for 18-carat and 22-carat gold pieces. Remember that whenever you purchase a new jewelry, the higher the carat is the more valuable the gold. The prices could vary depending on the demand in the market. Make sure that before purchasing, you must weigh the piece and examine the markings. 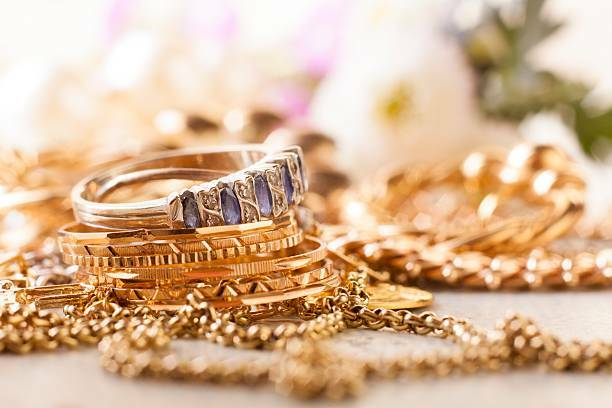 Some stores will sell you gold jewelry that are labeled “gold-plated,’ “gold-painted,” “bonded gold,” “gold filled,” “rolled gold,” or “gold-colored.” Remember that these are not the same as the gold and alloy jewelry with a carat and hallmark labels. Others will also sell you vermeil or gilded silver. This is sterling silver jewelry coated with gold. If you find the label “HGE” it means that the gold was joined to another metal by electroplating. “GF” stands for gold filled, which means the item has a gold layer on top of the base. “RGP” stands for rolled gold plate.